Because girls are strongly relational, their bullying (often called relational aggression) revolves around social interactions and attacking the victim’s social standing. They usually bully in ways that are not as visible as the physical attacks of boys. It is common for this type of bullying to be overlooked by adults. Even if they are aware of the problem, adults often view these behaviors as normal relationship issues. In extreme cases, self-destructive and suicidal behaviors can result. Victims of bullying are often ashamed, and many will not share with anyone that they are being bullied. Since she probably will not tell you she is a victim, look for clues in the girl’s behavior such as those mentioned above. 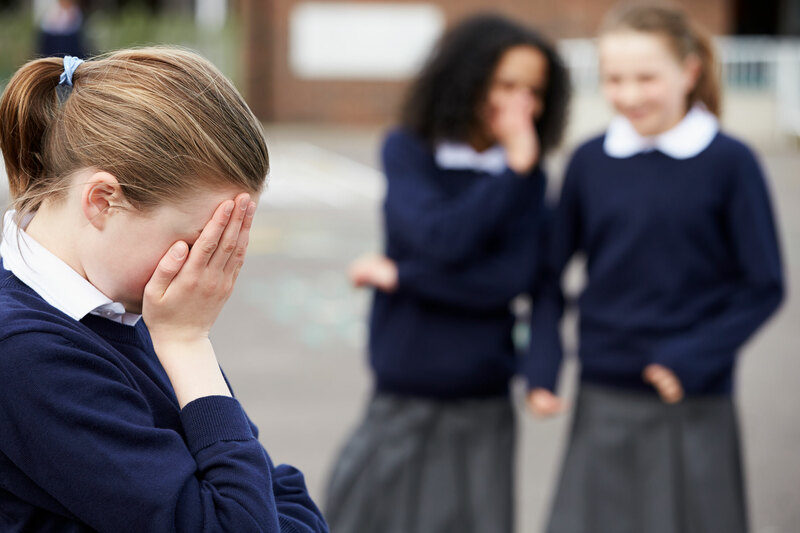 Once you become concerned that a girl is being bullied, what can you do? Bring up the topic in a roundabout way. Comment on a bullying situation in a book or television show. This will allow her to discuss bullying in a nonthreatening way. Talk with her alone. This will allow her to safely share her experiences and emotions. Share experiences you or someone you know has had with bullying. Knowing that she is not the only one to experience this type of situation may give her courage or comfort. Talk with her about the best way to respond to the bullying. How Can the Victim Help Herself? Tell the bullying girl to stop. Sometimes it helps for the victim to explain that the behavior hurts. Try ignoring it. Suggest focusing on what is positive in her relationships. Remind her again that she is not alone. Ask for help from a trusted adult. Let her know you are available if she feels the situation is too difficult for her to handle alone. The more you learn about bullying and how it damages the victims, the better prepared you will be to speak into the heart of a hurting girl. Your help can make a difference in her life. As Jesus said in Matthew 25:40, “The King will reply, ‘Truly I tell you, whatever you did for one of the least of these brothers and sisters of mine, you did for me.’” God loves each and every one, including those who are being bullied. Next PostWhat makes a child at-risk? Susan is an editor with David C Cook Global Initiatives. She is honored to partner with believers around the world to see children's lives transformed by the light and life of Jesus.